This Pioneer SA-900 was their top of the line integrated amp when it was released from 1970-1971. It features a 50 watt per channel amplifier, which was a lot for the time, and lets be realistic, enough for most speakers even today! It also has two phono inputs, one of them switchable from MM to MC, rare in its time! It also has a Tape Head input, for tape decks without an amplifier section, connected right to the tape heads! It also has two Auxilary inputs and two tape loops. It has stereo Mic inputs, stereo tone controls. both high and low filters, loudness control, and a mute switch. It also features pre-out/main-in connections, as well as a separate/intercouple control. It has connections for two separate sets of speakers as well. This amplifier has just about everything you’d ever need in an integrated amp! 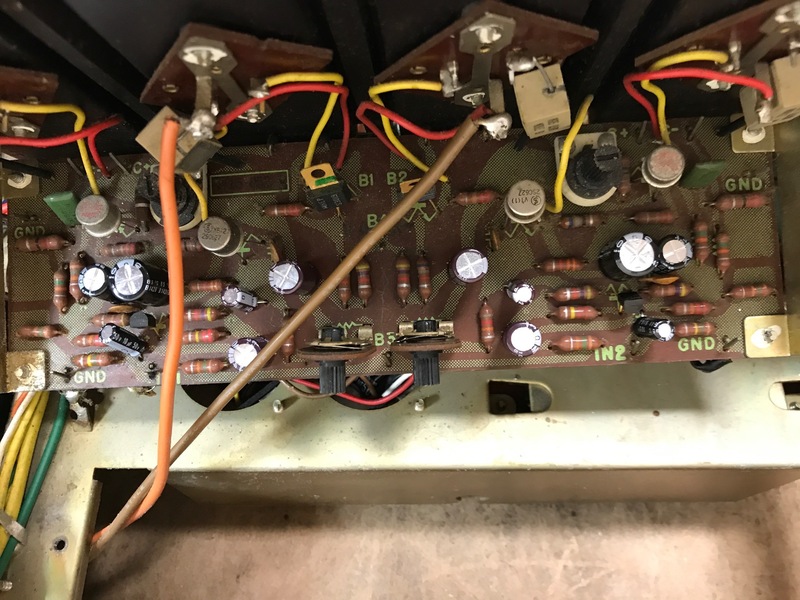 This unit was completely restored, and sounds and works, and looks great! A list of the work done, and specifications are below! 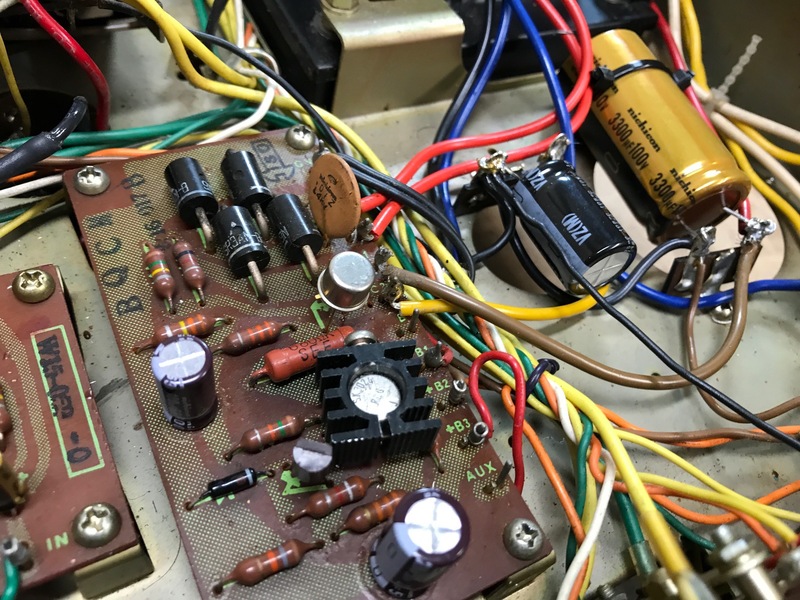 – The main filter capacitors was replaced with a Nichicon Fine Gold capacitor. 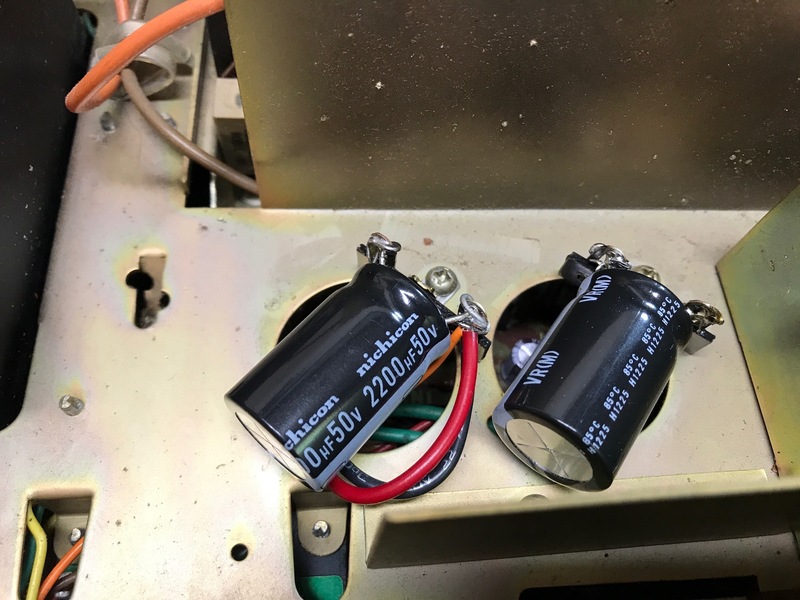 – The rest the power supply was recapped with Nichicon high temp/high reliability capacitors as well. 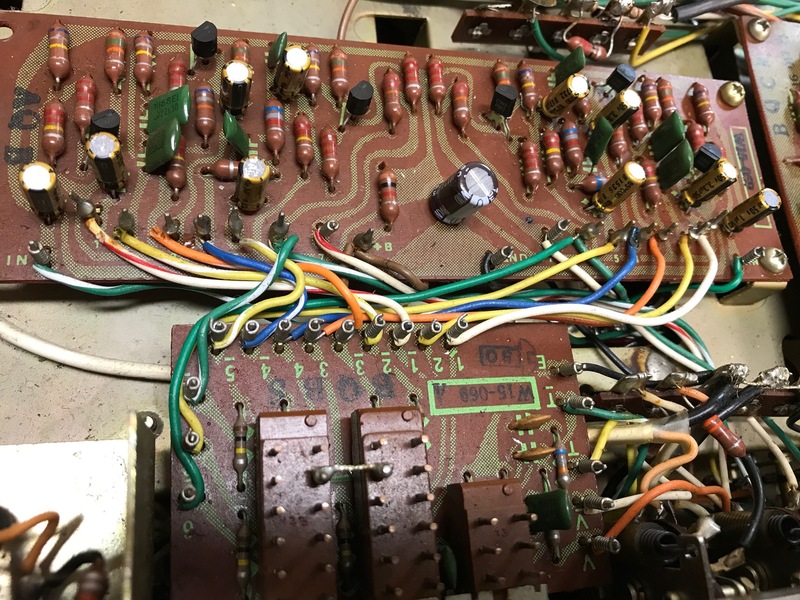 – All preamp boards had all the original noisy transistors replaced with new, audio grade equivalents. 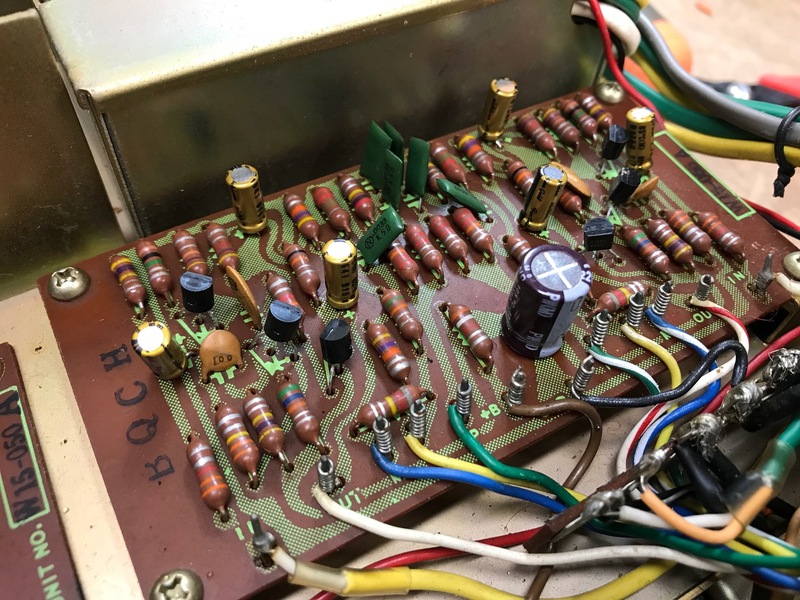 – The Moving Coil phono board was recapped. 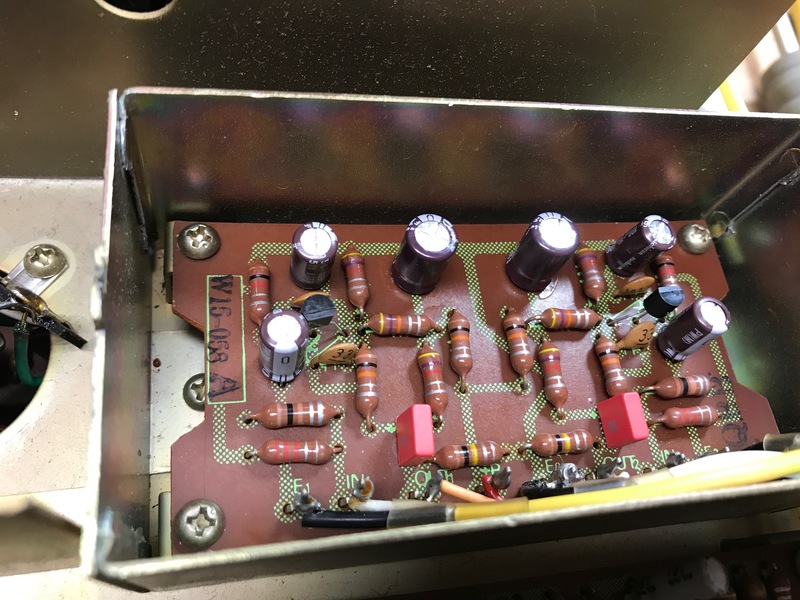 – The main amplifier board was recapped. 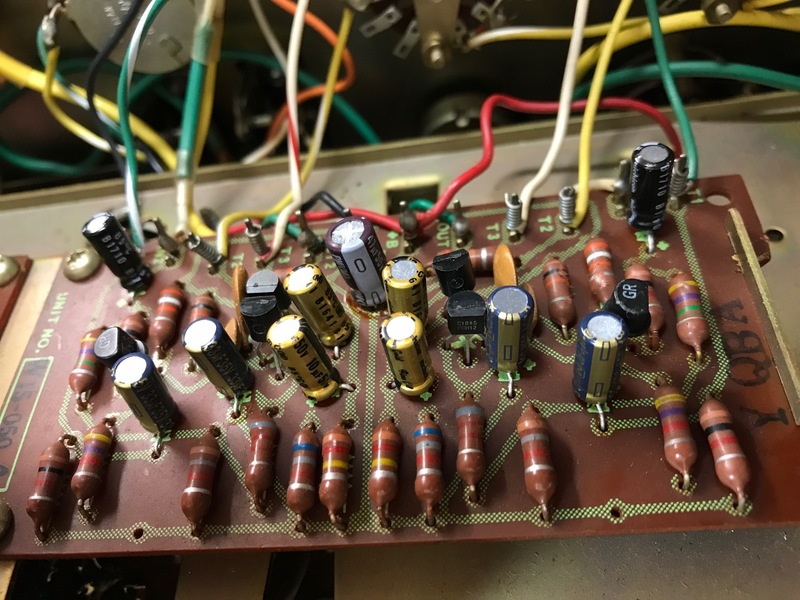 – The amplifier coupling caps were replaced. – Bias was checked and set. 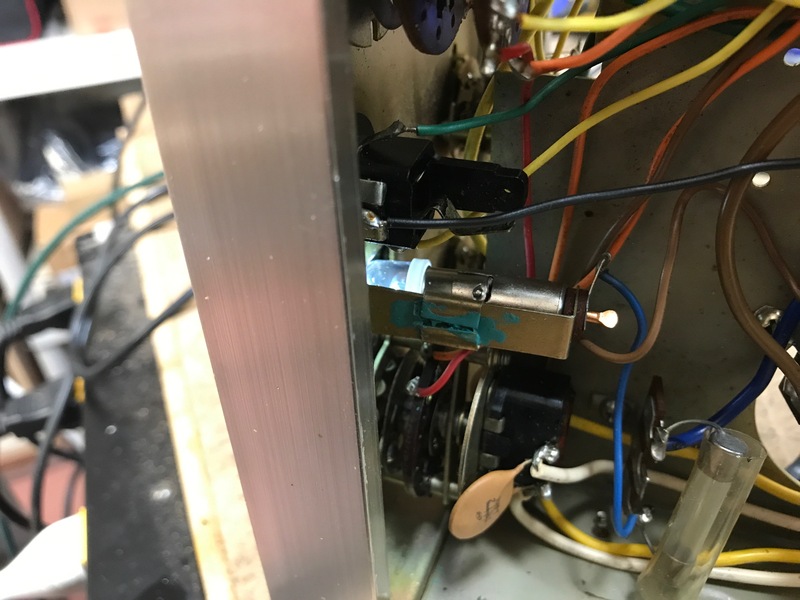 – The controls were all cleaned and relubed. – The “A” Pioneer proprietary (annoying) speaker terminals were replaced with nice, modern, 5-way binding posts. – The black metal cover was refinished. – The unit has been fully play tested after restoration, and has ran flawlessly in our show room, it sounds amazing! The Pioneer SA-900 has high performance pre-amplifiers and power amplifier stages for large output, an extremely high signal to noise ratio and an accurate equaliser characteristic.